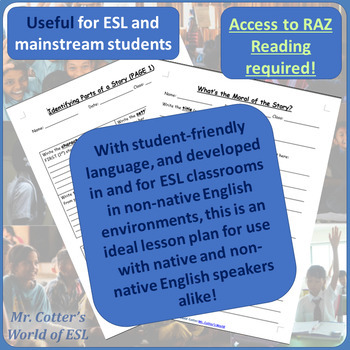 YOU MUST HAVE ACCESS TO RAZ READING FOR THIS PLAN! If you do not, please see my simplified (and less expensive!) version of this packet for just the highly adaptable worksheets. 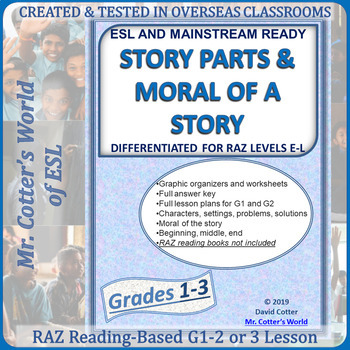 Differentiated RAZ Reading / Learning A-Z lesson plan and materials for G1-2 (two different lesson plans, each for a 2 day guided reading group lesson). 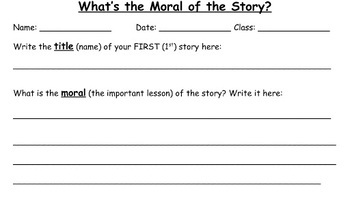 Teaches about morals in stories. Created by an ESL teacher in a non-English environment (Taiwan) with never fewer than 4 native language backgrounds per class. Differentiated for ESL and Mainstream students alike! Full lesson G1, two-lesson arc plan! Full lesson G2, two-lesson arc plan (easily modifiable or directly usable for G3)! You can easily come back to these materials over and over again by allowing students to read new books as their levels improve. Specifically designed to allow for adding further levels after level L while using the same worksheets. For the worksheets only, see my simplified (and less expensive!) version of this packet.